A translated version of this post in German can be found here. 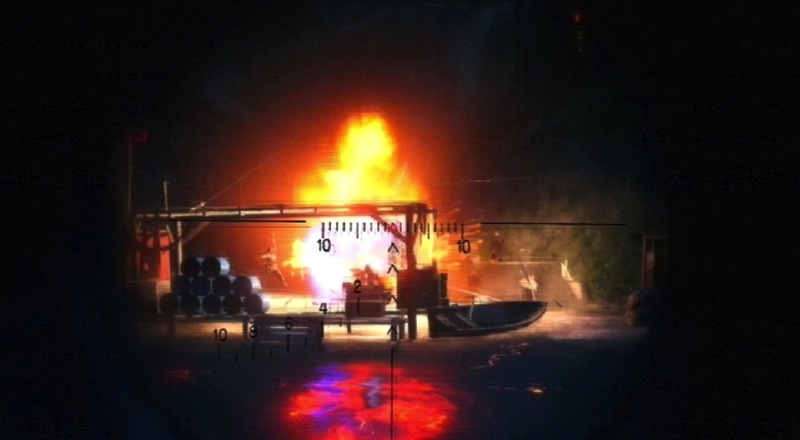 Blood diamonds, Malaria, civil war, and moral choices, that truly made you reflect on your own actions and sacrifices deep down in the heart of darkness are what Far Cry 2 presented players with. It was very much a psychological journey, that never at any moment tried to empower you or even portray you as the heroic savior of the land. But it was also filled with repetitive quests, one dimensional characters, boring conversations and horrible artificial intelligence. Literally every person wanted you dead, even if you were supposedly on their side, and they made sure by constantly reappearing after they had already been killed. 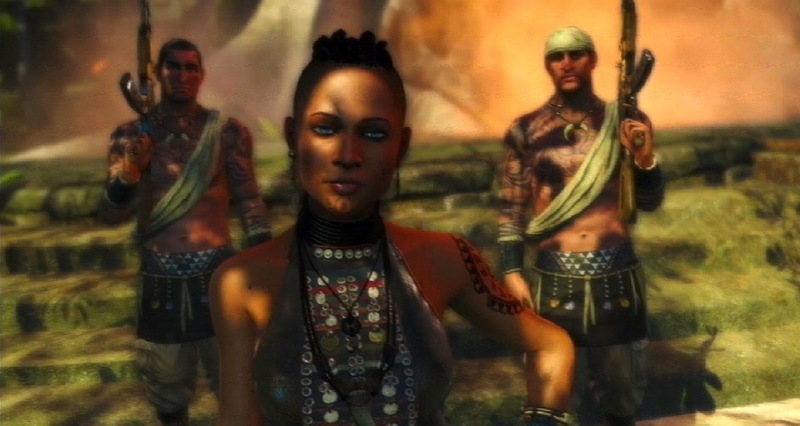 Fast forward to now and Ubisoft gives us a familiar, yet different approach with Far Cry 3. 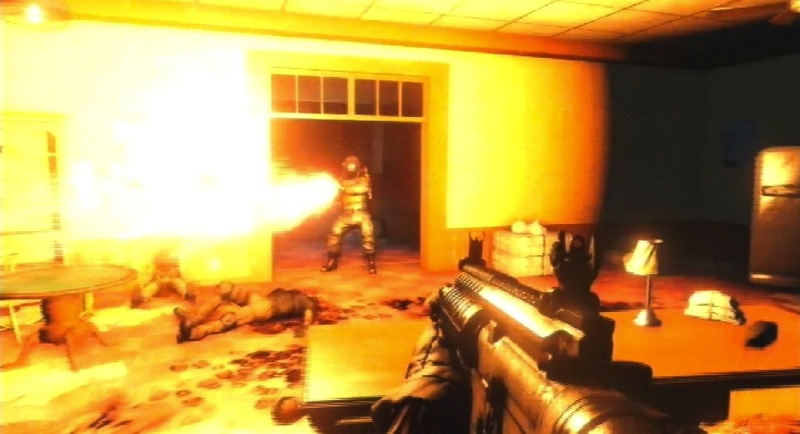 Gone is former Creative Director Clint Hocking, who was responsible for so much of the predecessor’s design, gone are the respawning guard posts, and gone is the blood diamond and conflict mineral theme. But we do have pathological, homicidal, blood thirsty pirates, tigers, sharks, drugs, California Hipsters, lots of guns, and of course some princess that needs to be saved. Far Cry 3 might not win the award for most innovative themes and story telling, but did I mention I just ran away from a tiger with my last health syringe stuck in my arm and a devastating landmine explosion turning the proud predator into my new leather pouch? Players are put into the shoes of Jason Broody, who was part of a group of self entitled rich kids on a vacation that got all of them accidentally kidnapped by the sinister Vaas and his army of pirates. One escape attempt, a Forrest Gump joke, and a dead brother later Jason gets saved by the other branch of crazy tattooed lunatics on the island, and sets out to save his friends and avenge his brother, rescue the princess, disarm the bomb, cure cancer, take out the trash, teach kids how to read etc etc. The story is so uninspiring, it almost comes to no surprise that the opposing factions all dress in either red or blue, and that only the brave young white man with no military experience whatsoever can be the chosen one who gets to save the day. At first it might seem like a joke to send out Jason to missions that essentially should require years of training in guerilla warfare, but later on the realization kicks in that no other rebel ever thought of simply luring tigers into enemy camps and having them do all the work for you. The fact that you get to do this also quickly distracts from the farfetched writing and has a player driven narrative take over the story. The other important aspect that ultimately saves this from being just another rescue mission is Michael Mando’s performance as the aforementioned Vaas. When he addresses you for the first time you feel that this is not just an NPC, but a human being with a personality, emotions, desires, and disappointment. His personality might be utterly crazy, his prime emotion is exuberant rage, he mainly desires to kill you, and it is your survival that sparks said disappointment, but he nonetheless is the saving grace of this story. 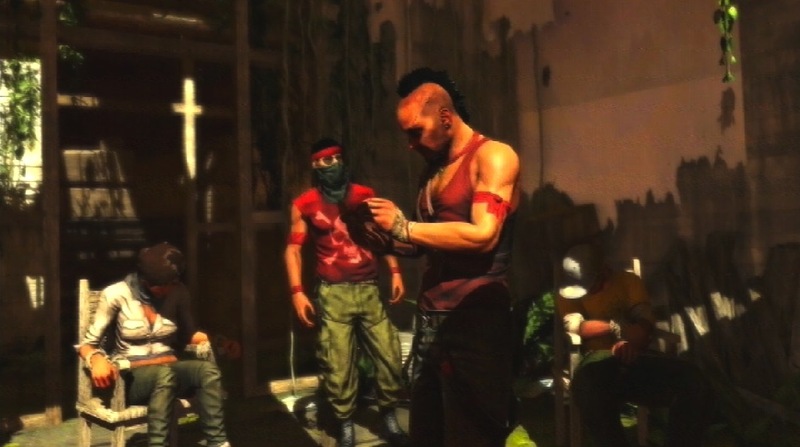 When Vaas talks, the entire room is silent as if the game itself knows it is time to sit back and enjoy his soliloquy only to have players be mortified by how sadistic he is. It’s not only the fact that he knows the reaches of his sadistic behavior, or that he truly does enjoy shooting unarmed people and burning them alive, but the real shock sets in after you start to understand that there is a certain truth and honesty to his actions. This is one of the most complex characters in video games in a long time, without a doubt the most intense villain there has been all year and it is almost an insult to the character when he barely takes up 20 minutes in the entire campaign that can easily stretch on for more than thirty hours. 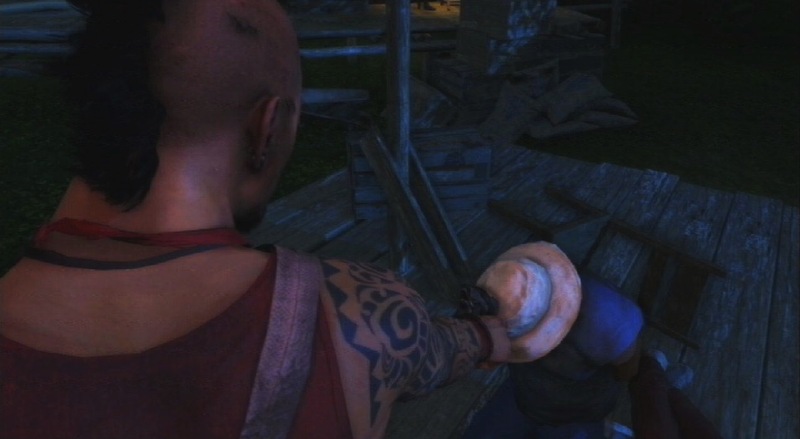 Vaas is the Hannibal Lecter of gaming, a figure that has almost no screen time, but makes itself present through his chilling performance and brutally honest portrayal. He is a constantly ticking time bomb and his calm and soft way of talking is almost immediately broken up by a vicious explosion of rage and anger only to shift back into being very much in control and relaxed. There is no end in elaborating on how effectively Mando brings to life all the emotions you could ever want to see in a performance that is so vibrant and colorful, it almost makes you forget that at the end of the day, this is basically a game about going into a jungle to blow up sharks with grenades. It could have very easily been another bad guy with an attitude, or simply angry looks and a lot of pathetic screaming and pathos that are reminiscent of bad theater acting, but instead this mercenary pirate goes beyond one dimensional boundaries. It’s even easier to be pretentious with this character, but luckily there is always the specific quality of Vaas to be a murdering psychopath, that keeps this from being a deeper analyzation than it needs to be. 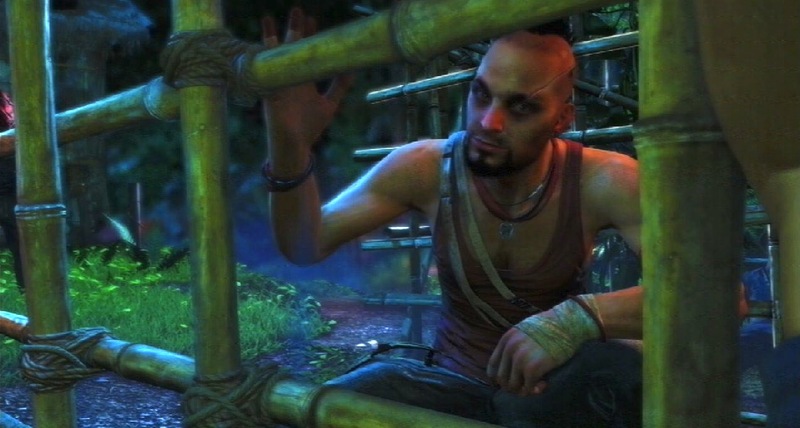 Depending on the final decision Jason himself might actually resemble Vaas more than he would probably wish, ultimately giving a nice spin to the theme of saving the princess in the sense that the journey itself changes the hero to the point that makes his return to society questionable at best. 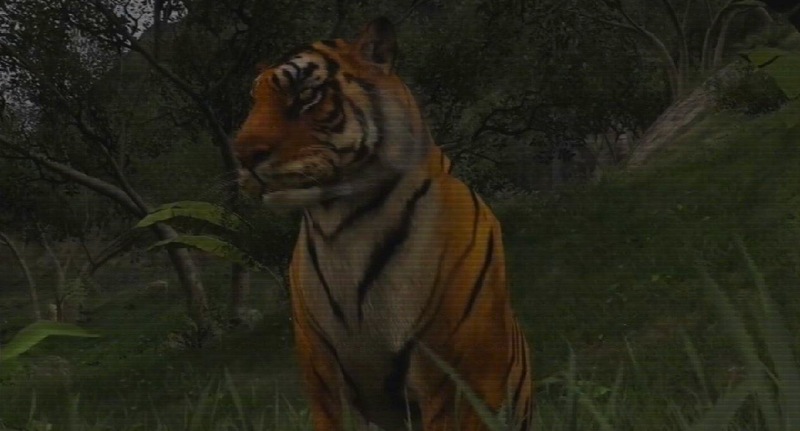 The island itself features a multitude of various ferocious animals and comes in as a welcome addition to all the beautiful open worlds like Skyrim, Just Cause 2 or Red Dead Redemption. 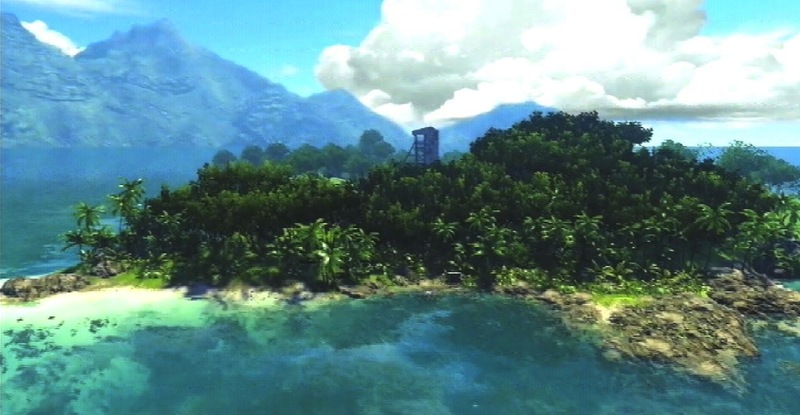 Naturally with such a kilometer wide world the visuals will not be able to come close to something like Uncharted 3, Max Payne 3, or the quality of Battlefield 3’s Frostbite 2 engine, but Far Cry 3 still offers a beautiful world to explore and get lost in. A very intuitive and easy to use fast travel system also helps traversing the island, especially since vehicles feel clunky and at times unresponsive. Up close some of the textures do come off as fuzzy and unsharp, and on occasion enemies will also indulge themselves in strange behavior like entering a car, driving it for not even two seconds and then leaving it only to continue on foot, but all those bugs and glitches are very far and few in between. A major annoyance happens to be the crafting mechanic that incorporates hides from animals to create pouches and holsters. What should reward players with new gear ends up being nothing more than tedious work and grinding, rather than scouting and actually hunting animals. It makes sense from a game perspective to only give out the best equipment in exchange for harder to obtain hides like sharks, bears, or leopards, but there is no logic behind why some leather can only create a certain backpack and some can’t. Chasing pigs and goats with a machete is simply not as much fun as it sounds and having to deal with the overly convoluted menu system does not help. An intuitive menu requires the least amount of button presses to get you from a bad quiver to a superior quiver and Far Cry 3 has so many subcategories to the point where it begs to have it all simplified. The obnoxious and redundant aspects of crafting are luckily thrown away once Jason avails himself to better equipment and there is a lot of fun to be had in customizing individual weapons. 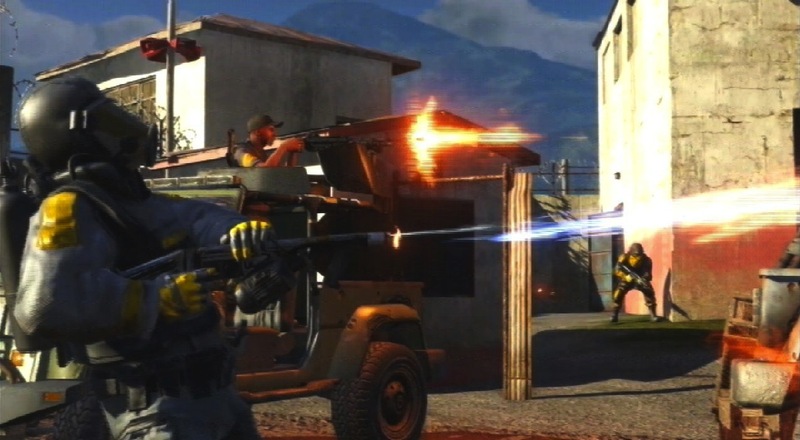 While Deus Ex: Human Revolution might have given us explosive revolver bullets, here we get an arsenal that includes everything from flaming arrows and flamethrowers, to plastic explosives and various handguns, rifles, and light machine guns. While you’re at it, why not take your shotgun and put on a nice custom paint job? It might not make any sense, but it looks cool when you stalk through the jungle with a camouflage painted bow and pretend you’re Rambo. Take the stealth mechanics of Dishonored, replace the magic with modern guns and place it in Skyrim and you have an idea of how great stealth actually works in Far Cry 3. Hiding in bushes and praying on enemies to take them out with silent kills feels natural to the point where seasoned veterans should be able to play through the entire game with nothing but the machete, a few arrows, and one or two grenades just because explosions are so much fun. When it works, the artificial intelligence shows its strength by having enemies check patrol areas, check out places from where you last shot your weapon and signal their buddies for help in finding you. This makes it all the more rewarding to take down entire squads without being seen or heard. The challenge comes from planing how to approach a situation, adjusting your gear to your style and then unlocking the best upgrades and perks. Three different kinds of animals symbolize skill trees from herons for ranged attacks, sharks for less subtle and aggressive approaches, and spiders for improved sneaking and hunting skills. While more traditional role playing experiences guide players into being either a jack of all trades, the master of none, or the master of few trades, you will be able to get almost every single upgrade here. It all feels very similar to Batman Arkham City, and the question is not about what to specialize in, but which upgrade to unlock first. Do you want to be able to jump from a roof and stab two guards at the same time at first, or do you want to take less damage from grenades? Eventually everything will be unlocked. Besides the 20 hour long campaign there are plenty of bounty hunting challenges, supply drops, rare animals to take out, guard posts to destroy, and radio towers to take over, allowing for new weapons and gear at shops. Ironically this does create the dissonance evident with many open world games where the protagonist is set out on fulfilling their goal as soon as possible, but all I want to do is actually join Vaas, start kidnapping people and holding them for ransom, and just explore the island with my flamethrower and C4 in hand to take out any pesky bear or crocodile that dares messing with me. Similar to the predecessor there are multiplayer modes and a map editor, that incorporates familiar game types such as team deathmatch. The variety of weapons, perks, and gear that can be unlocked through the leveling system and kill streaks combined with poison gas and the tropical terrain create something that very much feels like Call of Duty in the jungle. But even with the map editor multiplayer is nothing more than a nice addition to an already fun experience and nobody will look back on this game and remember it for the service it did to online matches. With that said, it is very much a pleasure to have a new big budget release that offers split screen coop. 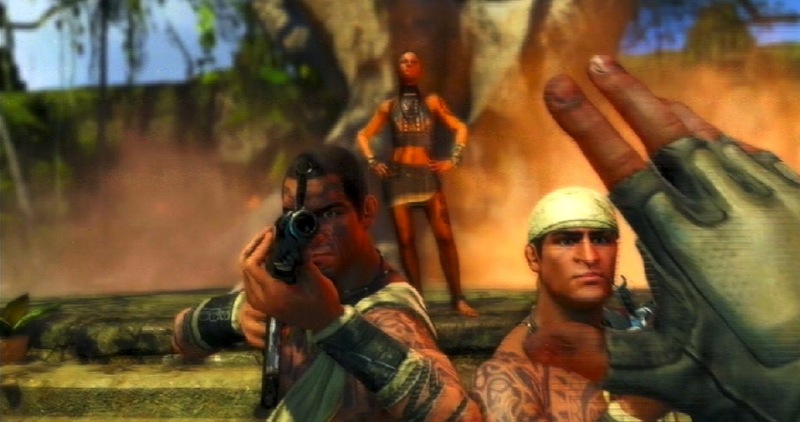 While the recent Borderlands 2 allows two people to play the entire campaign together on the same console, Far Cry 3 actually has a story that is independent from the main quest and features 4 stereotypical characters in their own hunt for a captain that betrayed them. The Russian stoic gun for hire, the vulgar Scot, the American Ex-Cop and the African-American woman. Trying to remember the ethnicity and individual trait for each of them was probably the hardest part of this review, since each of them is just an avatar players to impose themselves onto. 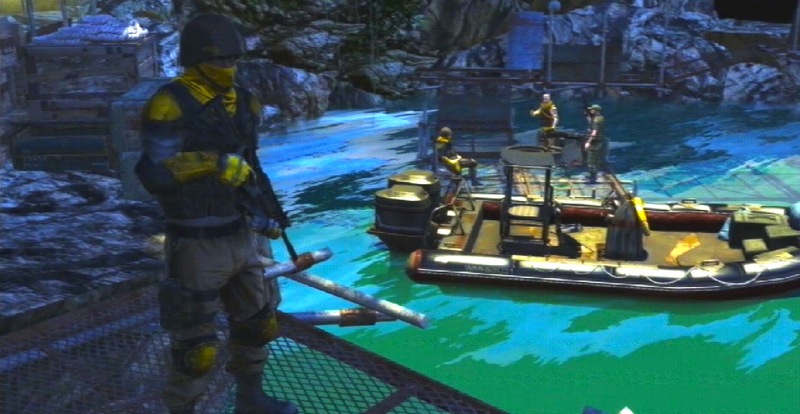 There is enjoyment to be found in having 4 people take out pirates on an island and see where the story takes them, but ultimately you’ll want to return to the single-player and make sure those endangered animals remain endangered, preferably with the aid of rocket launchers and landmines. This is by all accounts a big game, with a big budget, that has to cater to a big audience to make back the initial investment and satisfy the publisher. With this paradigm in mind it is still an excellent effort that might not elaborate on those complex themes present in the predecessor, but offers something that is still remarkably entertaining and gratifying for the most part. 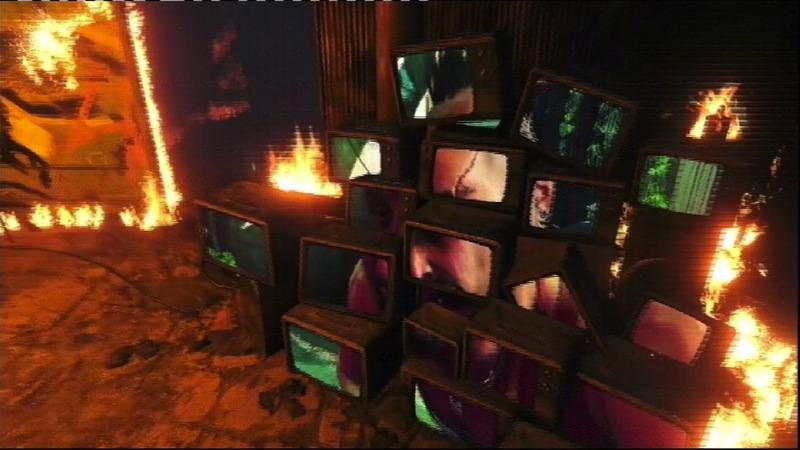 Even if Vaas is severely underused and a lot of missions suffer from creativity, there are still plenty of things I haven’t even touched on like the use of psychedelic drugs and mushrooms. 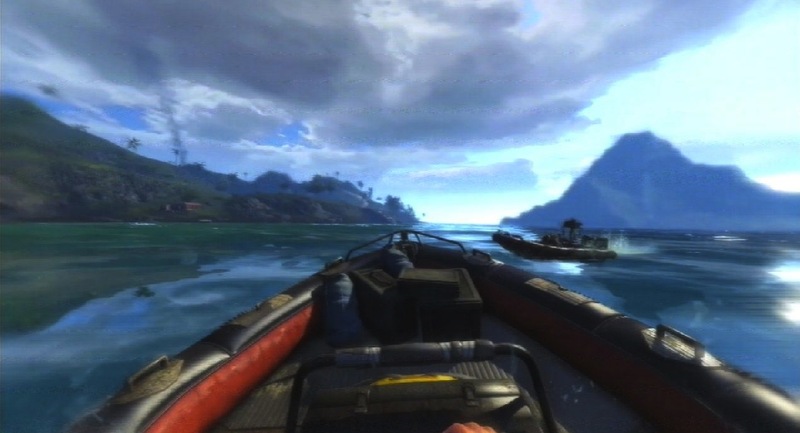 In the end, the most important aspect about Far Cry 3 is, that when it doesn’t have you chase goats and do awful first person platforming, it actually is exciting and intense to explore the island on your own and see where that experience takes you. Just be careful not to step onto a landmine while running away from tigers. Far Cry 3 gets a 9/10. Buy it.